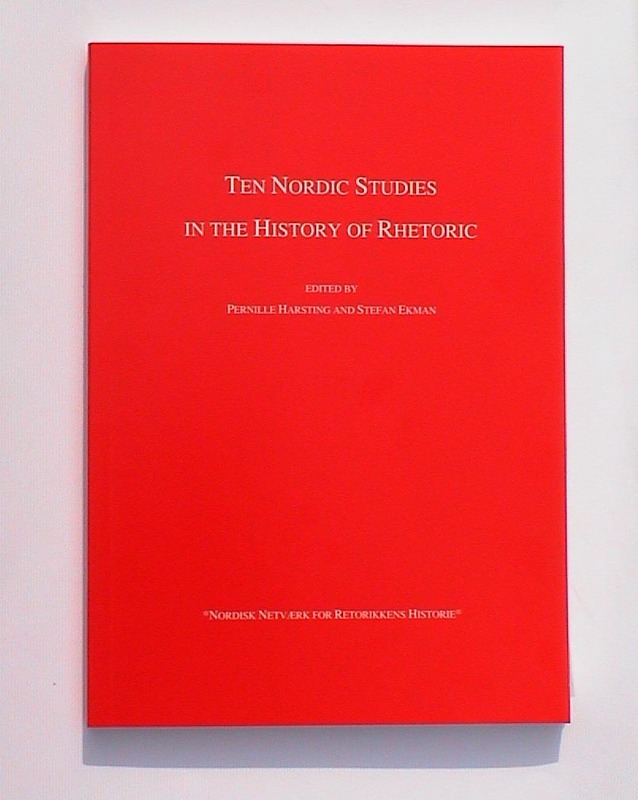 This is the first volume in the *NNRH* series of NORDIC STUDIES IN THE HISTORY OF RHETORIC, which presents the most recent results of Nordic research in the field. The ten articles published here cover a wide range of topics in the history of rhetoric: from the cultivation of anti-theoretical rhetoric in 10th century Russia to the cult of body language in 20th century Denmark; from the enthusiastic rediscovery of ancient rhetoric in the Italian Renaissance to the moralistic rejection of rhetorical effects in early Swedish novels; and from Alexander Gottlieb Baumgarten's rhetoric of aesthetics to Henry David Thoreau's rhetoric of ethics and civil action. The contributers to the volume are (in alphabetical order): Amund Børdahl (N), Stefan Ekman (S), Henrik Gustafsson (S), Pernille Harsting (DK), Christian Høgel (DK), Ingunn Lunde (N), Mats Malm (S), Päivi Mehtonen (SF), Merete Onsberg (DK), and Jon Viklund (S). Jon VIKLUND: Chiasmus as an Argumentative Figure in C. J. L.